Michael Nirenberg, D.P.M., B.Sc., B.A. Dr. Nirenberg is a clinical and forensic podiatrist. This skill-set provides sharp expert witness insight into podiatry malpractice cases, orthopedic surgeon foot or ankle malpractice cases, or medical malpractice by other specialists, including a nurse or a nurse practitioner, a family doctor, an emergency room physician, or an urgent care physician. Dr. Nirenberg can also provide detailed analysis of foot & ankle injuries, and forensic criminal cases related to the foot, ankle or gait. Foot surgery malpractice or ankle surgery malpractice by a podiatrist, orthopedic surgeon, nurse practitioner, family doctor, emergency room physician or other medical practitioner. Foot treatment malpractice or ankle treatment malpractice by a podiatrist, orthopedic surgeon, emergency room physician, family practice physician, nurse practitioner, urgent care clinic or other medical provider. Foot surgery or ankle surgery or foot treatment or ankle treatment by an orthopedic surgeon, podiatrist, emergency room physician, nurse practitioner, family doctor, wound care clinic, urgent care center or other medical provider. Dr. Nirenberg provides expert witness podiatrist case review for podiatrist malpractice cases (foot or ankle treatment & surgery), personal injury foot or ankle injury cases, and forensic podiatrist cases (analysis of a criminal’s footprints, shoes, footwear, gait on surveillance video). Dr. Nirenberg takes an honest, unbiased, open-minded approach to analyzing evidence. Podiatrist malpractice case expert witness review or foot surgery malpractice expert witness review involves Dr. Nirenberg evaluating a foot or ankle case or podiatrist’s treatment (or orthopedic surgeon or other medical provider) or podiatrist surgery or orthopedic surgeon surgery of the foot or ankle for malpractice or negligence. Foot or ankle malpractice cases may involve a podiatrist, or other medical provider, such as an orthopedic surgeon, wound care doctor, nurse, emergency room physician, family physician or nurse practitioner. Whether analyzing foot or ankle podiatry malpractice cases, personal injury claims, workers compensation accidents, or a criminal’s footprint, shoes or gait (on surveillance video), Dr. Nirenberg is a podiatry expert witness who provides the public, injured persons, and defense and plaintiff parties with strong, intelligent arguments. Dr. Nirenberg also provides case management, peer review, and malpractice evaluation of podiatry/podiatrist, orthopedic surgeon, nurse practitioner, emergency room physician or family doctor foot and ankle treatment and surgery complications, including gangrene, infection, septic arthritis, bunion and toe deformities, non-unions, need for additional surgery, chronic pain (including CRPS/RSDS), nerve injury, tourniquet injury, gout, bunion surgery and amputation. Dr. Nirenberg is a trial-tested foot & ankle podiatry witness podiatrist who has in his capacity as a forensic podiatrist defeated a Daubert standard legal challenge in a forensic podiatrist case involving foot evidence in a homicide (Dr. Nirenberg’s forensic podiatrist testimony helped result in a conviction). Dr. Nirenberg comes to cases well-prepared. He is thorough, unbiased and explains foot and ankle medical information in a simple, easy to understand manner. Attorneys, insurers, case managers and individuals of the general public who require expert witness case review or case evaluation of podiatry or podiatrist malpractice, foot or ankle malpractice, foo or /ankle injury, or poor foot or ankle surgery outcomes can count on Dr. Nirenberg’s expert witness podiatrist case evaluation assistance. Foot and ankle medical malpractice case review is available to review any medical practitioner who chooses to treat a foot or ankle problem, including review of the treatment or surgery by an emergency room physician, family practice doctor, nurse or nurse practitioner, orthopedic surgeon and general surgeon. Potential claims may involve the defense or pursuit of a nurse or nurse practitioner, family practice doctor, orthopedic surgeon, nursing home care, wound care experts, emergency room doctors or other health care providers. Whether you are defense or plaintiff oriented, Dr. Nirenberg will give you a straight-forward, honest assessment of the strengths/weaknesses of your podiatry/podiatrist malpractice case/claim (foot/ankle malpractice case/claim) or orthopedic surgeon foot or ankle malpractice claim or emergency room or urgent care foot or ankle malpractice claim or nurse practitioner foot or ankle malpractice claim. If you are ready to put Dr. Nirenberg’s 23+ years of podiatry/podiatrist foot and ankle medical and surgical experience to work for you, contact him at forensic@friendlyfootcare.com or call (219)663-2273 today. To see Dr. Nirenberg’s podiatry/podiatrist credentials, please click here or read on. If you believe you may have a foot or ankle malpractice case by a podiatrist, orthopedic surgeon, nurse practitioner, emergency room, urgent care, family practice physician or other medical provider, Dr. Nirenberg will perform a thorough review of your case for a reasonable fee. To put his foot/ankle expertise to work for you today email him at forensic@friendlyfootcare.com. Dr. Nirenberg thoroughly reviews foot and ankle injuries (including slip or fall injury), accidents and workers compensation accident and injury claims that require expert witness podiatry/podiatrist case/claim analysis. Dr. Nirenberg is a forensic podiatrist and as such, provides expert witness analysis of criminal and forensic cases involving footprints, shoes (footwear) or human foot remains. 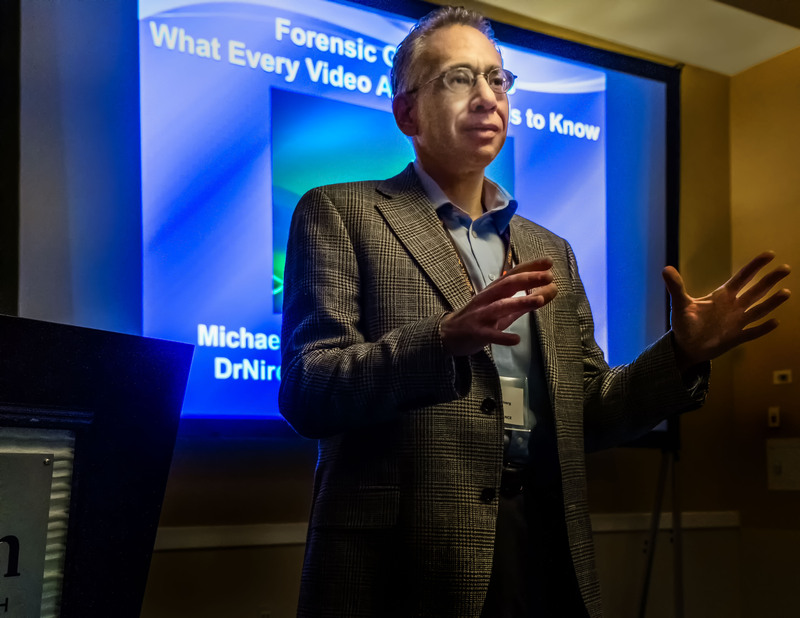 As a forensic podiatrist expert witness, he assists law enforcement and attorneys throughout the country, and he has lectured extensively, including to a division of the Department of Homeland Security. In his capacity as a forensic podiatrist, Dr. Nirenberg also provides forensic gait analysis of criminals captured on surveillance video. Forensic gait analysis can link (or unlink) a criminal on video to a suspect by comparing distinctive characteristics of the perpetrator’s and suspect’s gait (how they walk). To learn about forensic gait analysis CLICK HERE. Dr. Nirenberg serves on the Board of Directors of the American Society of Forensic Podiatry and has served on the Forensic Podiatry Subcommittee of the International Association for Identification and he’s a member of other forensic, podiatry and expert witness organizations. He is board certified in foot and ankle surgery and has published and lectured on foot and ankle problems, podiatry and foot and ankle surgery. Distinguished Podiatric Medical Writing Award, bestowed by the American Podiatric Medical Writers Association, May 1991. Board of Directors: American Society of Forensic Podiatry, 2006 – 2016. First Podiatry Student Published in the Journal of the American Podiatric Medical Association without a Physician-Coauthor: Journal of the American Podiatric Medical Association, May, 1989. Board Certified in Primary Care in Podiatry and Foot and Ankle Surgery, American Board of Multiple Specialties in Podiatry, 2006 – Present. Forensic Podiatry Subcommittee Member, International Association for Identification, 2008, 2017, 2018. Podiatric “Seal of Approval” Committee Member: American Podiatric Medical Association, 2008 – 2010. Nirenberg M, Vernon W, Birch I. (in press 2018) “A review of the historical use and criticisms of gait analysis evidence,” Science & Justice. Nirenberg, M.S., Krishan K., Kanchan T. “A metric study of insole foot impressions in footwear of identical twins,” Journal of Forensic and Legal Medicine. Advance Online Publication. September 11, 2017. Nirenberg, M.S. (in press; 2017) “Midfoot Plantar Fascia Tear Mimicking Plantar Fibroma,” The Journal of the American Podiatric Medical Association. Nirenberg, M.S. “Frye Test and Daubert Standard” In DiMaggio J.A. & Vernon W. Forensic Podiatry: Principles and Methods (2nd ed. ), 2017, pp. 265-284, Boca Raton: CRC Press. Nirenberg, M.S. “Gait, Footprints, and Footwear: How Forensic Podiatry Can Identify Criminals,” The Police Chief Magazine 83 (January 2016): web only. Nirenberg M.S., “Avoiding Missteps With Foot and Ankle Injuries,” Workers’ Compensation, June/July 2015. Nirenberg M.S., “Meeting a Forensic Podiatry Admissibility Challenge: A Daubert Case Study,” Journal of Forensic Sciences 2016, 61: 833–841. Nirenberg M.S., “Book Review: Forensic Podiatry: Principles and Methods,” Journal of the American Podiatric Medical Association, May 2014, Vol. 104, No. 3, pp. 313-314. Nirenberg M.S., “New Method of Examining the Inside of Footwear,” Journal of Forensic Identification, June 2008, Volume 58, Number 3, pp. 297-304. Vernon W, Brodie, DiMaggio, Gunn, Kelly, Nirenberg, Reel, Walker, “Forensic podiatry: role and scope of practice,” International Association for Identification, April 2009. Nirenberg M.S. “Barefoot Running: A Podiatrist’s Perspective,” The Barefoot Running Book: A Practical Guide to the Art and Science of Barefoot and Minimalist Shoe Running, 2nd Ed., by Jason Robillard (Editor Dirk Wierenga), August 2010. Nirenberg, M.S., Carroll, “Atypical Gout in the Foot Secondary to Primary Hyperparathyroidism,” The Journal of the American Podiatric Medical Association, May/June 2007. Nirenberg M.S., “Foot Notes: Choosing Shoes for Children” Northwest Indiana Parent Magazine, July 2008. K. Leavitt, Wood, Yong, Nirenberg, “Titanium Hemi-Great Toe Implant: A Preliminary Study of Its Efficacy,” The Journal of Foot Surgery, May/June 1991 Volume 30, Number 3, pp. 289-293. Nirenberg, M.S., “Forensic Methods and the Podiatric Physician,” The Journal of the American Podiatric Medical Association, May 1989, Volume 79, Number 5, pp. 247-252. “Footwear Analysis in Criminal Investigations,” Barry University School of Podiatric Medicine [webinar], Miami Shores, FL, March 14, 2017. “Analyzing Bare Footprints in Criminal Cases — Interpreting a Large-Scale Footprint Study in India,” K. Krishan (presenting author), J. DiMaggio, M. Nirenberg) American Academy of Forensic Sciences Annual Meeting, New Orleans, LA, February 17, 2017. “How Podiatry Principles Can Assist in the Forensic Analysis of Gait, Footwear and Footprints,” Barry University School of Podiatric Medicine [webinar], Miami Shores, FL, May 24, 2016. “Forensic Podiatry — How Gait, Footwear, and Footprints Convict Criminals,” American Academy of Forensic Sciences Annual Scientific Meeting, Las Vegas, NV, February 25, 2016. “Forensic Podiatry Analysis of Footprints: A Case Study in Identifying a Killer,” Dr. William M. Scholl College of Podiatric Medicine, North Chicago, IL, January 30, 2016. “Footprint Workshop: Basic Forensic Podiatry Principles of Footprint Interpretation,” Dr. William M. Scholl College of Podiatric Medicine, North Chicago, IL, January 30, 2016. “Footprint Forensics: Height, Gender, Weight & Identifying Criminals,” Northwestern University, Center for Talent Development, Chicago, IL, May 11, 2015. “Footprint and Footwear Analysis for State Police,” Indiana State Police, Lowell, IN, April 21, 2015. “Principles of Foot-Related Evidence for Attorneys,” Lake County Prosecutor’s Office, Hobart, IN, April 8, 2015. “Footprint Evidence Principles for Crime Scene Technicians,” Northwest Indiana Law Enforcement Personnel, Munster, IN, February 28, 2015. “Forensic Podiatry: How Footprints, Footwear and Gait Can Convict Criminals,” Lincoln-Way High School, Frankfort, IL, October 4, 2013. “Forensic Podiatry: What Criminal Justice Students Should Know About Foot-Related Evidence,” Indiana University Northwest, Gary, IN, March 21, 2011. “Forensic Podiatry: The Basics of Footprint and Shoe Forensics,” Purdue University, IN, November 2011. “Arthritis Foundation ‘Walk With Ease’ Class Instructor,” Munster Parks District, Munster, IN, 2013. “Forensic Podiatry: An Introduction to Footprints, Feet and Footwear for Undergraduate Students,” Valparaiso University, IN, November 9, 2010. “Foot and Ankle Problems: An Introduction for Salon Professionals,” Crown College of Cosmetology, Crown Point, April 2010; Don Roberts Cosmetology School, August 2010. “Arthritic Pain and Problems in the Foot & Ankle,” Arthritis Foundation of Greater Chicago, Crown Point, IN, October 10, 2010. “Podiatric Medicine,” Indiana University Northwest, IN, November 17, 2009. “Diabetes and Foot Health,” Methodist Hospital, Gary, IN, July 2009. “Forensic Podiatry: Footprint and Footwear Analysis for Law Enforcement,” Northwest Indiana Law Enforcement Academy, Hobart, IN, April 2008. “Forensic Podiatry: How Feet Can Convict Criminals,” Indiana Podiatric Medical Association, Indianapolis, IN, September 20, 2008. “Forensic Podiatry: The Newest IAI Discipline,” The International Association for Identification’s 93rd International Educational Conference, Louisville, KY, August 19, 2008. “Shoes and Footprints in Forensic Medicine,” Footprints & Shoeprints Forensic Seminar, Ohio College of Podiatric Medicine, June 28, 2008. “Footwear Sizing in Forensic Medicine,” Footprints & Shoeprints Seminar, Ohio College of Podiatric Medicine, June 28, 2008. “Breakthrough Treatments for Arthritis in the Feet,” Arthritis Foundation of Greater Chicago, May 1, 2008. “Forensic Podiatry: Essentials of Footprint and Footwear Evidence for Law Enforcement,” Northwest Indiana Law Enforcement Academy, Hobart, IN, April 2008. “CSI Podiatry: What Podiatrists Need to Know to Help Law Enforcement,” Midwest Podiatry Conference, Chicago, IL, March 30, 2008. “Forensic Podiatry: Information on Feet, Footprints and Footwear for Law Enforcement,” The Indiana Intelligence Fusion Center, a division of Homeland Security, December 11, 2007. “Foot and Ankle Problems: An Introduction for Salon Professionals,” Excel Academy of Cosmetology, November 15, 2007. Featured Speaker, 14th Annual Indiana Division of the International Association for Identification Educational Conference of Forensic Investigation, Examination and Identification, “Forensic Podiatry – What Investigators Need To Know About Footwear and Footprints,” Evansville, IN, October 17, 2007. “Nerve Problems & Neuropathy of the Foot and Ankle,” St. Mary Medical Center, Merrillville, IN, June 2006. “The Latest Treatments for Foot & Ankle Pain,” Arthritis Foundation of Greater Chicago, 2005. “Diagnostic Ultrasound of the Foot & Ankle Problems,” Podiatry Surgical Residency, Merrillville, IN, September 2004. “New Techniques to Treat Foot & Ankle Pain,” Arthritis Foundation of Greater Chicago, 2004. “Pigmented Villondodular Synovitis: A Case Study and Literature Review” Presented at the 66th Annual Indiana Podiatric Medical Association Convention, October 20, 1992. USA Today – reviewed records to assist reporters with a “USA Today Network Investigation” about podiatry care in the Veteran’s Administration, “VA Conceals Shoddy Care and Health Workers’ Mistakes,” D. Slack and M. Sallah, October, 2017. 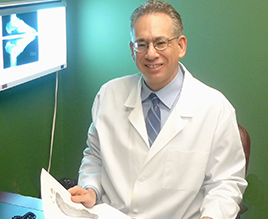 WBBM News Radio Chicago – reporter Veronica Carter interviewed Dr. Nirenberg about foot problems and footwear. The segment aired September 13, 2013. Get Healthy Magazine interviewed and quoted Dr. Nirenberg on his recommendations for preventive foot care in “Proper Foot Care Can Prevent Disease,” by Chris Bryant, April 2013. NBC News website interviewed and quoted Dr. Nirenberg on how feet and toes can reveal medical and health problems throughout the entire body in “This Little Piggy Went to Medical School,” by Bill Briggs April 2011. The Canadian Medical Association Journal interviewed and quoted Dr. Nirenberg on how orthotics treat foot pain in “Orthotics Work in Mysterious Ways,” by R. Collier, March 8, 2011. Lance Armstrong’s LiveStrong.com interviewed Dr. Nirenberg about rheumatoid arthritis in feet in “An Exercise for Ankle Locks from Rheumatoid Arthritis,” by K. Wonderly, Nov. 2010. The Wall Street Journal interviewed and quoted Dr. Nirenberg on the risks of cosmetic foot surgery in “Toe the Line: Doctors Fight Cosmetic Foot Surgery,” by M. Beck, July 27, 2010. Northwest Indiana Times Newspaper featured Dr. Nirenberg on educating pedicurists about foot problems, such as cancer, in “Can a pedicure save your life? Podiatrist, Pedicurists Unite to Catch Foot Problems, Cancer Early,” Erika Rose, March 2010. The Indianapolis Recorder interviewed and quoted Dr. Nirenberg on gout in “Gout becomes more common in Blacks,” by Tashaundra Golden, July 22, 2010. FIRST for Women magazine – interviewed and quoted Dr. Nirenberg in “Relief for Aching Feet!” March 2013 and in “Your Risk of Catching MRSA Just Went Up,” June 2010. Northwest Indiana Times Newspaper sought Dr. Nirenberg’s expertise about foot problems that affect people with diabetes in “Living with Diabetes,” by Rob Earnshaw, November 2008. Vim & Vigor Magazine featured Dr. Nirenberg in regard to his diagnosis of a patient’s foot pain being caused by a rare tumor in the neck, in “From Doctors to Detectives,” Winter, 2007. ABC News (Nashville) reported on Dr. Nirenberg’s use of forensic gait analysis to help identify an armed robber, which led to an arrest. The segment “Violent Tennessee Robbery Solved by Foot Doctor; 3 Arrested” was by Stephanie Langston and aired February 7, 2018. NWI Times newspaper reported on Dr. Nirenberg’s forensic analysis of a bloody footprint in “Local doctor helps net Wisconsin murder conviction,” by Elvia Malagon, January 9, 2015. The Virginian-Pilot newspaper interviewed Dr. Nirenberg in “Detectives Turn to Podiatry to Help Solve Murder Case,” by Scott Daugherty August 9, 2014. Fox News (Chicago) interviewed Dr. Nirenberg on Forensic Podiatry and featured him in a news story (aired April 29, 2008). 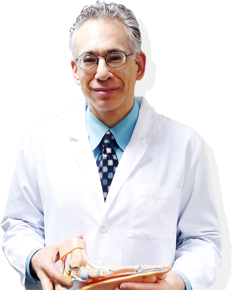 To receive Dr. Nirenberg’s complete CV, please contact us at forensic@friendlyfootcare.com today. Put Dr. Nirenberg’s 23-plus years of foot and ankle podiatry experience to work for you, contact him at forensic@friendlyfootcare.com or call (219)663-2273 today. Put Dr. Nirenberg’s many years as a practicing podiatrist, his thoughtful scientific reasoning, trial-tested experience and simple, plain-spoke manner, to work for you. Email or call him today! 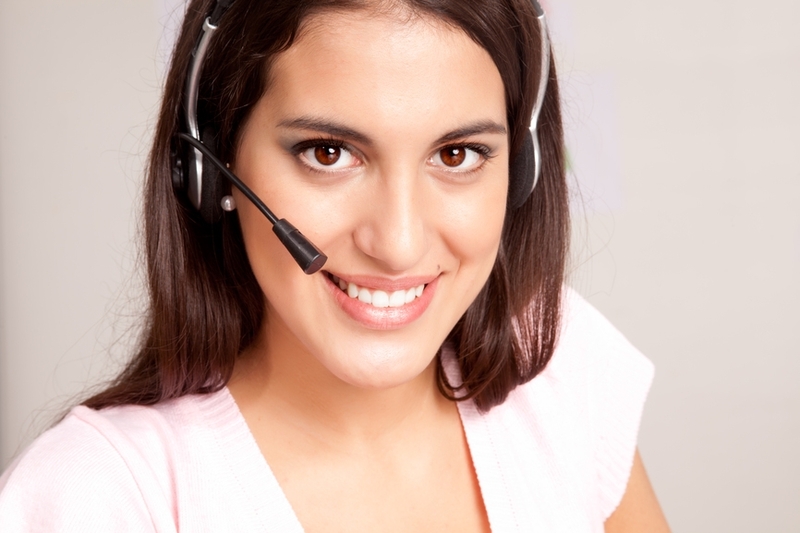 Skype and Video Conferencing available. Our Northwest Indiana podiatrist office treats people with heel, foot, toe and ankle pain or problems. If you are looking for a podiatrist in Dyer, podiatrist in Valparaiso, podiatrist or foot doctor in Merrillville, podiatrist in Schererville, podiatrist or foot doctor in Gary, Portage, or podiatrist in St. John, podiatrist in Highland, Cedar Lake, podiatrist in Griffith, Hobart, podiatrist in Hammond, Munster, or podiatrist in Valparaiso, or even Chicago, we may be able to help you! Call for an appointment at (219)663-2273!